Additional obstacles: wind, heat, length of climb. 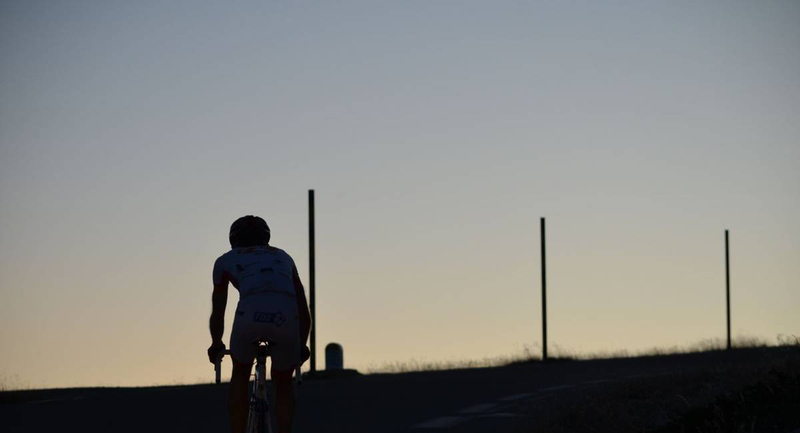 Mont Ventoux is a classic challenge for cyclists and is considered one of France’s toughest ascents! 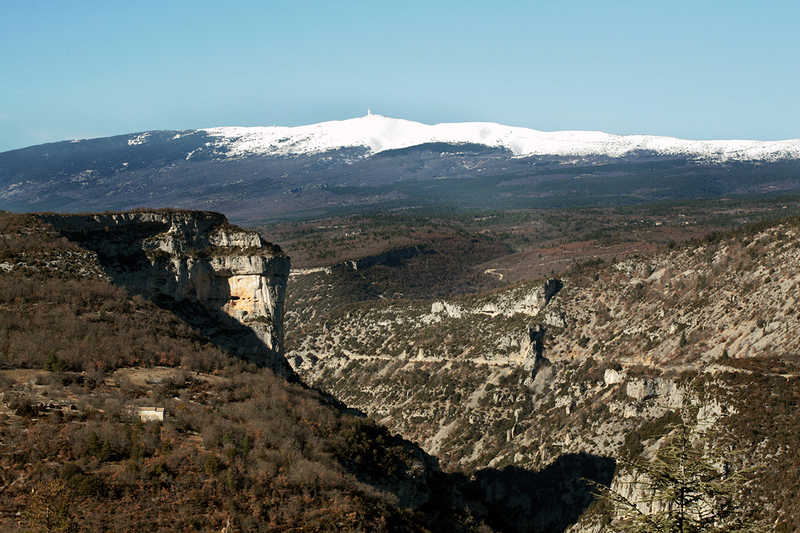 Its highest point stands at 1,912 m above sea level which is why it’s called the Giant of Provence! It’s a continuous ascent with a gradient of more than 10% throughout, leaving no opportunity for rest. But the region also offers marked trails for novices and intermediates that you can find on the map attached. Crossroads of Civilizations since Prehistoric times. Avignon, nicknamed the “City of the Popes,” because it was the seat of the Papacy between 1309 to 1423, is currently the largest city in, and the capital of, the Vaucluse department. 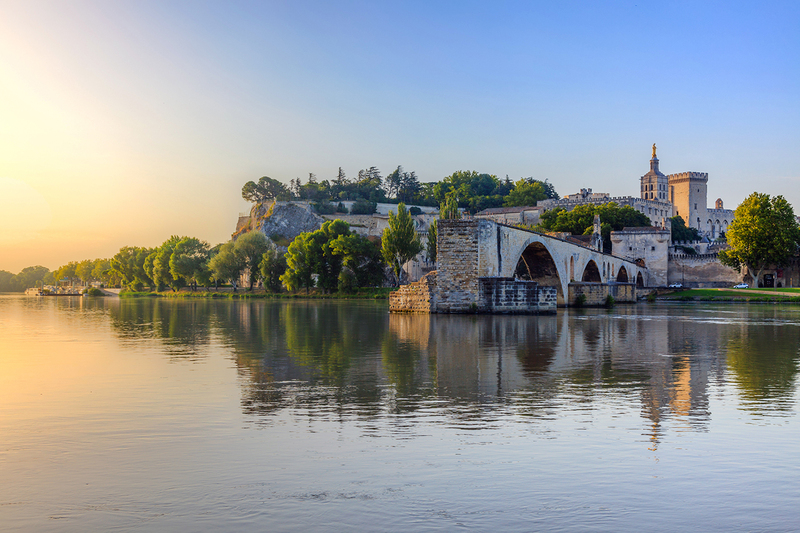 Avignon is a UNESCO classified world heritage site and is one of the few French towns to have retained its city walls and historic centre, which includes the magnificent Papal Palace, the Episcopal Ensemble, the Rocher des Doms and the famous Pont d’Avignon. Finally, since 1947, Avignon has hosted the “Avignon Festival,” one of France’s most important theatre and performing arts events, and one of the most important in the world on account of both the number of performances and spectators. Orange which stands at a crossroads between the North, Spain and Italy, boasts a wealth of farming activities and has managed to preserve numerous remains from the Roman period. In 1981, several of Orange’s monuments were designated UNESCO world heritage sites; these were listed as: “The Ancient Theatre and its Surroundings,” and the “Triumphal Arch” of Orange. 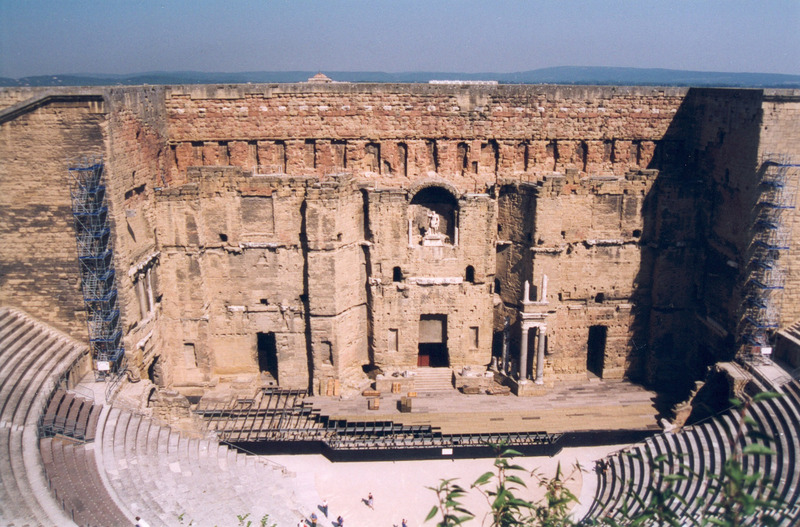 The Ancient Theatre of Orange – a genuine City of Culture – hosts the “Chorégies d’Orange,” an internationally renowned opera festival. Theatre’s finest voices and greatest actors take to the prestigious stage of this magnificent theatre. Recent archaeological discoveries have shown that vines planted on the site of Mont Ventoux were some of the oldest in France. The village of Bédoin, which stands at the foot of Mont-Ventoux, surrounded by vineyards – at an altitude of up to 500 m – is the perfect place to discover the AOC Côte du Ventoux wine, with its multiple aromas ranging from red fruits and spices to leather and liquorice with a hint of iris and acacia. And more besides. 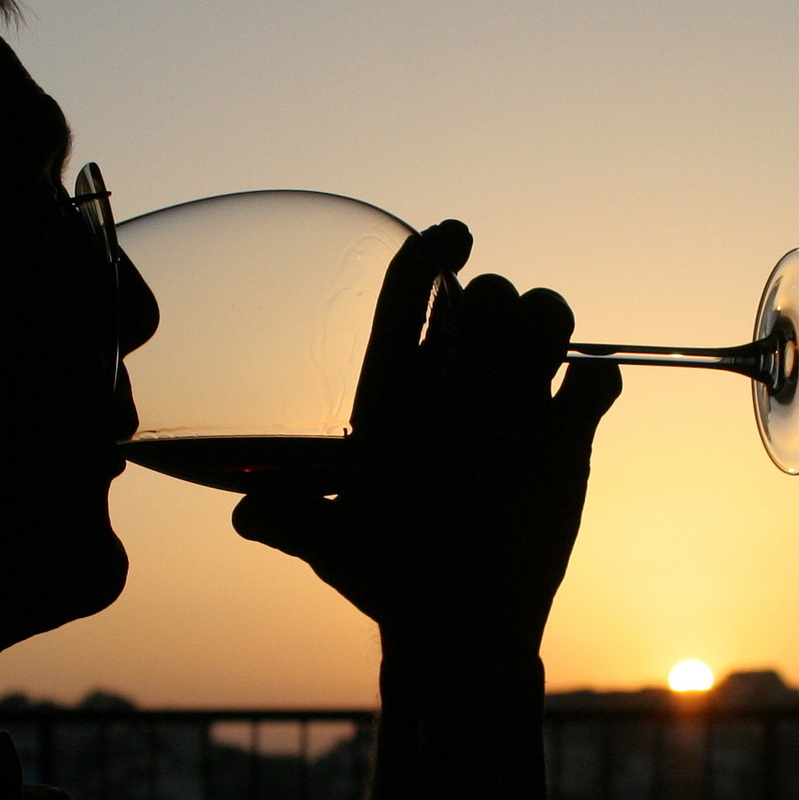 Baumes de Venise, Gigondas, Vacqueyras, Rasteau and Châteauneuf du Pape are all located very close to Bédoin, just a few kilometres away. This exceptional, eye-catching site dominates the landscape from far away. Its spectacular cliffs, such as the needle-like peaks that point towards the heavens, cut through the blue Provencal skies. 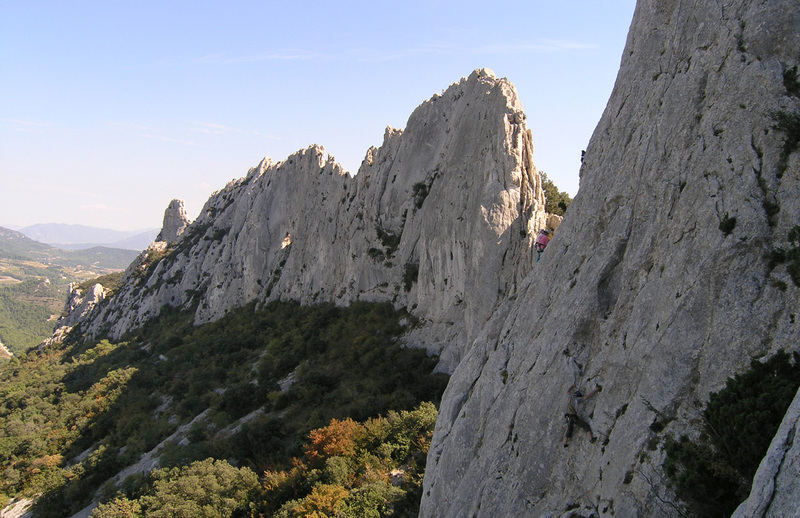 For hikers and thrill seekers, the Dentelles de Montmirail is a life-size paradise with fabulous climbs, walks and hang gliding opportunities. These rocky skyscrapers are home to traditional, stone, perched villages, which cling to the cliff face like limpets clinging to a rock. A traditional village with tourist and agricultural activities. 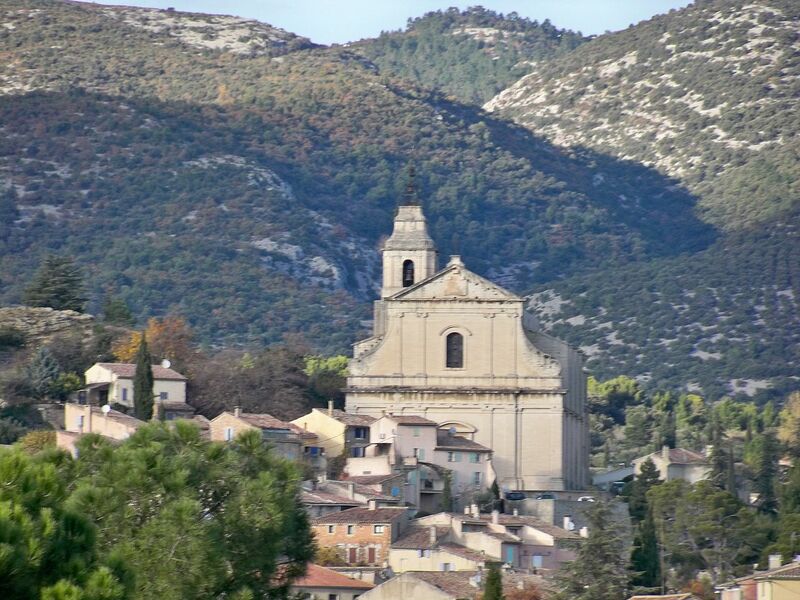 Bédoin, located at the foot of Mont-Ventoux, welcomes tourists from all over the world. Its Monday morning market attracts a large crowd. There are sporting enthusiasts, particularly cyclists setting off to conquer the Giant of Provence; walkers exploring the numerous listed hiking trails throughout the region; and epicureans tempted by the taste of the famous Ventoux truffles, as well as the delicious and surprising AOC Côte du Ventoux wine, with its multiple aromas ranging from red fruits and spices to leather and liquorice with a hint of iris and acacia. 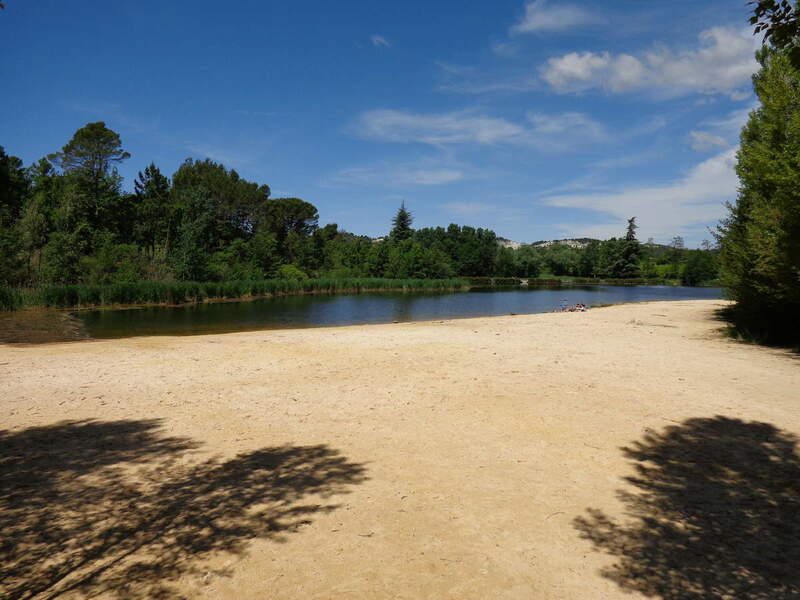 If you like swimming in the middle of the countryside, there are 2 lakes available, just 7 km from the campsite. After the Gorges du Verdon, the Gorges de la Nesque are the most spectacular canyons in France. The cantilevered tourist road between Ville sur Auzon and Monieux, is a good place from which to admire this imposing, unspoiled canyon, carved out by the Nesque river, extending over 12 kilometres and, in some places, more than 400 metres deep. Take this superb route and you’ll understand why UNESCO classified the Gorges de la Nesque as a Biosphere Reserve. An excursion to the Gorges de la Nesque is an opportunity to discover some little-known sites, including lavender fields that extend as far as the eye can see and a 12th century troglodyte chapel at the bottom of the canyon. 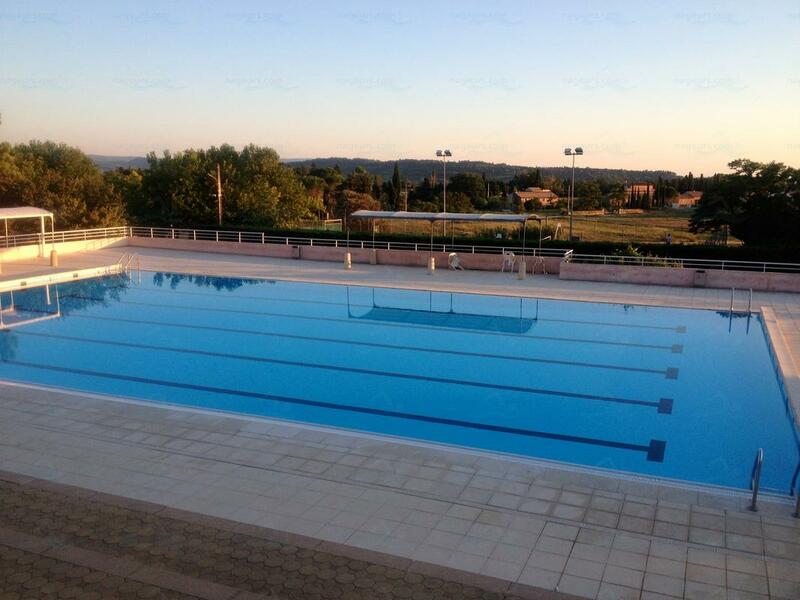 Bédoin has a lovely water sports centre, surrounded by pine trees, just a few minutes walk from Le Pastory. There is a large pool with several lanes for serious swimmers, a recreational pool, paddling pool and bar. If you enjoy the heat, the solarium terrace is the ideal place to relax and soak up the sun’s rays.